Desire Motor is a solo performance constructing a series of 12 pieces that emerge out of the consideration of desire as a physiological and transformative body. The long-standing creative duo Corrie Befort and Beth Graczyk (founding members of Salt Horse) developed a new evening-length work called Rose Blue which was presented Sep 2017 at Triskelion Arts in NYC and in Dec 2017 at BASE in Seattle. 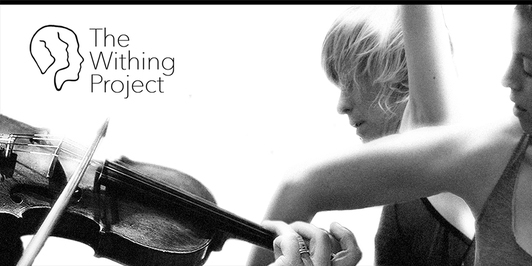 Based on findings in modern neuroscience and on a re-casting of the word "with" as a verb, The Withing Project is an exploration and celebration in music, dance, and theater of the human capacity to “be with” another. In collaboration with composer/palliative care doctor Hope Wechkin, theater director Cathy Madden and neuroscientist Leanna Standish. 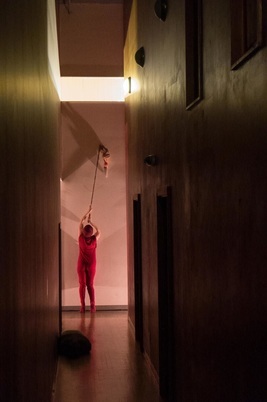 A dance, sound and visual performance collaboration between director Torben Ulrich, musician Angelina Baldoz and dancer Beth Graczyk premiered at the historic Washington Hall, January 2014. Salt Horse is a dance, sound, visual-theater performance company created by dancers Beth Graczyk and Corrie Befort and musicians Angelina Baldoz and Jason E Anderson. Salt Horse creates visually rich, sensation-based works that illuminate the quiet, unseen, or hidden aspects of nature and the human experience. The company members rigorously merge improvisation and composition to create arresting narratives that weave between the literal and the abstract.